Rachel Kempley was watching TV on a warm Sunday evening last June when the phone rang. She knew it wouldn’t be her son, Reece, because she’d spoken to him that morning. 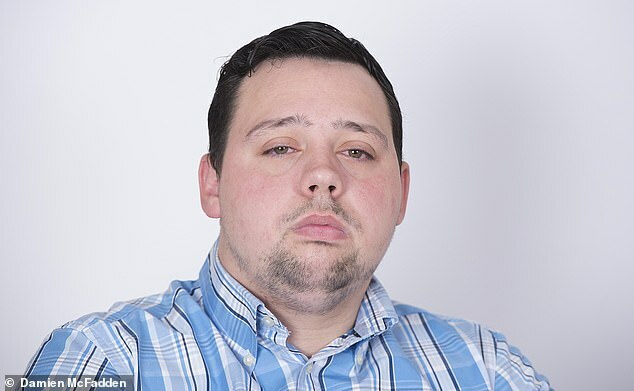 Reece, 24, a talented football coach, was in Kavos, a resort on the Greek island of Corfu, on the last day of his first holiday abroad with friends. ‘He said he was going on a boat trip before flying home the next day,’ says Rachel, 49. The phonecall was from Reece’s friend, Luke. Over a year later, it’s still agony for her to recall and she talks in broken sentences, through tears that won’t stop. For hours there was no news, then a doctor called from the hospital to tell Rachel to come as soon as she could. It is every parent’s worst nightmare. You do everything to keep your children safe, but knowing that one day you will have to let them go. Reece was diagnosed with epilepsy three years ago and while Rachel worried constantly about him having a seizure, she knew he would never do anything reckless. ‘He’s always been such a thoughtful, caring boy. He has never brought any trouble to my door,’ his mother says. She finds it so difficult to listen to what happened that she has to leave the room while Reece tells the story. On June 11, the day before they were due to fly home, some of the boys booked quad bikes. ‘My epilepsy means I can’t drive, so me and another boy decided to go to a boat party,’ says Reece. The jetty was about 5ft high but the water below was just knee deep and Reece cracked the back of his neck on the sea bed. ‘I remember hitting the bottom and trying to swim, then trying to stand up, but my body wouldn’t respond,’ he says. Rachel has worked in a shop in London’s East End for 20 years. She is small and feisty, and fiercely protective of her three children who she raised alone after her husband left when Reece was ten — he has a sister, Brooke, 27 and brother Jake, 18. But the sight of her boy lying paralysed in a Greek hospital completely floored her. The family arrived at about midnight on the Monday. ‘I’ll never forget the sight of Reece, still in his swimmers, and covered in sand, crying with pain,’ she says. Reece then developed pneumonia from inhaling sea water and the surgery to stabilise the fracture in his neck had to be postponed. ‘His temperature went up and up and he was sobbing with the pain in his neck,’ says Rachel. Reece can no longer move from the chest down, although he has sensation and movement in his arms and some sensation in his legs and feet. His sadness at not ever being able to play football again is unbearable. ‘It was the biggest thing in my life,’ he says. Hard, too, has been the lack of continued support. After being flown back home by his insurer, he spent 13 weeks in The Royal London Hospital and three months in The Royal National Orthopaedic Hospital in Stanmore where an insensitive doctor told him bluntly, without his mum present, he’d never walk or father children. Reece is entitled to just one session of physiotherapy a week on the NHS and Rachel shakes her head with frustration — ‘he’s going to have the best care that I can possibly give him,’ she says. I was completely devastated. I cried and cried and told Mum I didn’t want to live. Reece’s Polish carer, Marcin, mentioned a therapy called Lokomat, a form of robotic gait training where a machine puts the patient through the motions of walking; the patient is held by a hoist above a treadmill, with a robotic skeleton attached to their legs. It’s similar to conventional Body Weight Supported Treadmill Training where several physiotherapists support the patient and manually assist leg movements. The idea is that by constantly stimulating the parts of the brain responsible for the motor movements, it forms new neurological pathways to stimulate the muscles to move spontaneously. Lokomat was developed in Sweden in 2001 and there is growing evidence supporting its use. Most has come from the U.S. where nine out of ten top-rated neuro-rehabilitation hospitals have the machine. Research in the Spine Journal in 2014 found paraplegic patients who used Lokomat five times a week for 90 days showed ‘highly significant improvements’ in walking time, distance, and speed as well as improved muscle strength and reduced spasticity. There are 1,000 Lokomats, mainly in Europe and North America — but just five in the UK (they cost from about £250,000 each), including one each at the private Wellington and Portland hospitals in London, and one at the University of Glasgow. There is also a Lokomat at the National Rehabilitation Hospital in Dublin. Cost is the issue, says Manish Desai, a consultant in spinal injury and trauma rehabilitation at the Royal National Orthopaedic Hospital and The Wellington. ‘Lokomat is a great piece of equipment. Overall it has a huge impact on quality of life: patients do improve much faster when we use this kind of technology,’ he adds. The problem is it’s both ‘expensive to buy and to maintain’, he says, adding that neuro-rehabilitation is vastly underfunded by the NHS. With the cost of going privately in the UK prohibitive, Rachel used her £3,000 life savings to fly to Poland with Reece in May. After his first Lokomat session, he could feel his mum tickling his toes. In June, Reece’s friends organised a football tournament and Rachel sold burgers, hot dogs and drinks. They made £2,000, which, along with a donation from Rachel’s boss, bought Reece another two weeks’ treatment. Already it’s helped unfurl his hands, which had begun to curl inwards. He’s now able to pick up a bottle and feed himself. What he wants most is more hand function. ‘Because if my hands moved, I could play my PlayStation with my brother, I could go to work, I could start to live a more normal life,’ he says. For Reece, Lokomat means hope. ‘He’s had a smile on his face for the first time since the accident,’ says Rachel. But heartbreakingly, there’s no money for further treatment. 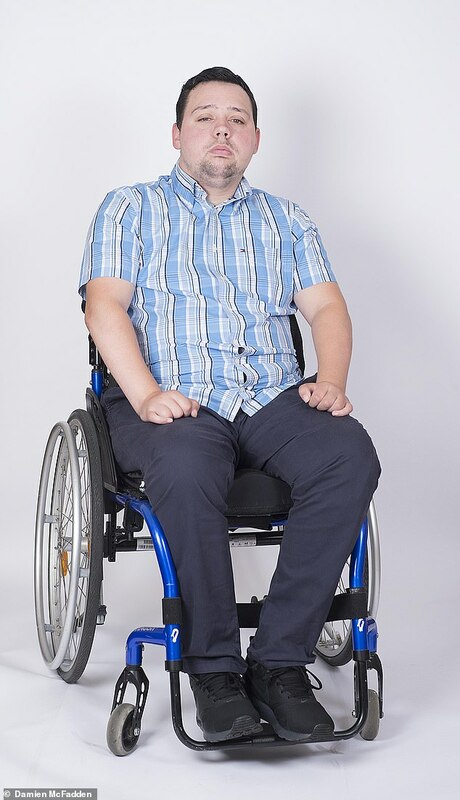 Reece hasn’t been able to live at the family’s flat in Stepney because his wheelchair won’t fit, so he is living with a carer in accommodation provided by the charity Aspire while Tower Hamlets Council try to find the family a house.